QUESTION: Mr. Armstrong, have you ever heard of a short lived Wörgl Experiment in Austria? It was shut down by the Austrian Central Bank they say because it was successful. Have you looked into this experiment they claim defied deflation and inflation? ANSWER: Yes. This was by no means an isolated instance. True, it was touted as the “Miracle of Wörgl” during the Great Depression. A very similar “experiment” took place in the United States when over 200 cities issued their own currency. You have to understand the dynamics of the period. This was the very age of AUSTERITY where the assumption was that the collapse was due to a lack of confidence in government so they increased tax collection and cut spending, which unleashed both deflation and a dwindling money supply. This led many cities to create their own money due to the lack of money in circulation that was impacted by hoarding. The Wörgl Experiment began on July 31, 1932, the very month that the Dow Jones bottomed. The experiment involved issuing “Certified Compensation Bills” that were was a form of local currency known as Scrip or Freigeld. The monetary theories of the economist Silvio Gesell were applied by the town’s then mayor, Michael Unterguggenberger. 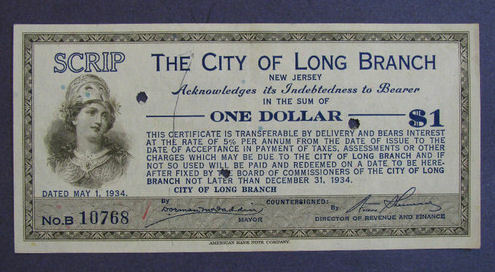 What differed with Gesell’s idea was that the currency would expire. Believe it or not, there are some government’s looking into currency that expires. 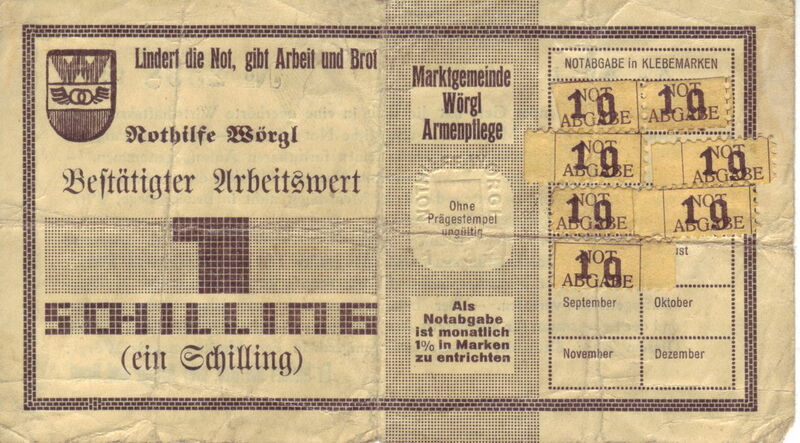 Since World War II, Europe has issued currency that expired roughly every 10 years. This forced people to bring out the old currency to be swapped and thus prevented hoarding. The central part of Gesell’s idea was how to stop the HOARDING of money. This is why FDR confiscated gold. He too saw the problem of people hoarding money and not spending it. This is part of every economic decline. If there is no CONFIDENCE in the future, people save more. This is simply human. Nevertheless, the Wörgl Experiment resulted in a growth in employment largely because they had to use the money. This allowed the local government projects to all be completed, which many called a miracle, for it appeared to defy the depression in the rest of the country. Inflation and deflation are also reputed to have been non-existent for the duration of the experiment. But this was simply the result of money expiring so there was no purpose in hoarding “money” or shifting it back to “asset” appreciation as in a hyperinflation. Despite the appearance of success, the Wörgl Experiment was terminated by the Austrian National Bank on September 1, 1933. 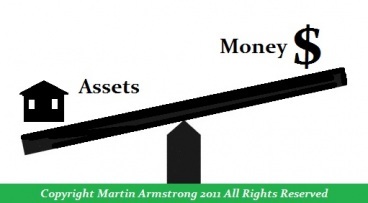 « Money: What Is It? What is Interest? What is the Wealth of a Nation?